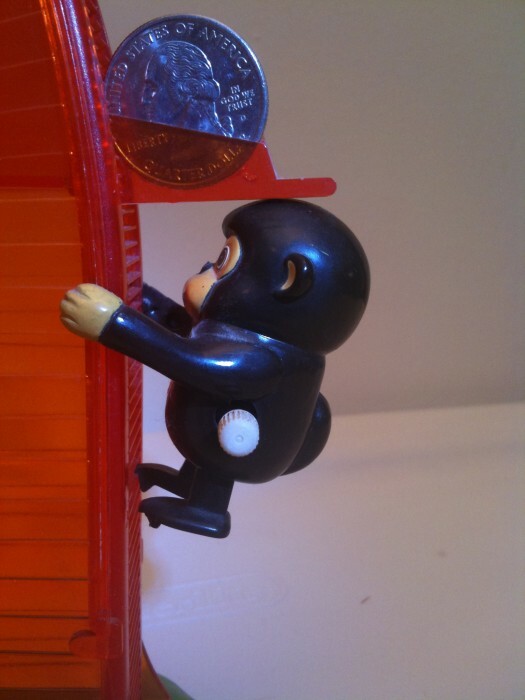 The little monkey climbs the tree, deposits the coin when his head hits the slot, then continues up till he hits another thing, and it releases the dice. Another treasure from Japan. 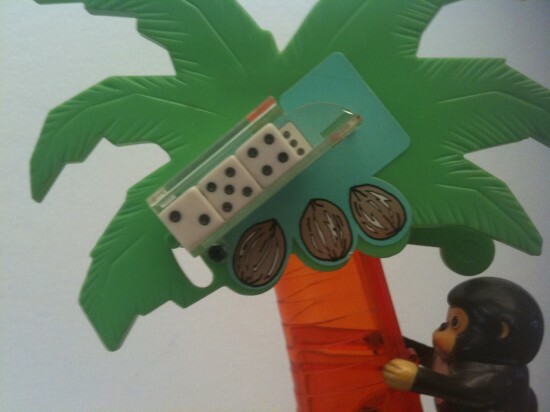 How bizarre is that little coconut dice thing up in the tree?! Love the transparent squarish trunk he climbs up. Love these kind of Japanese toys. Any idea of the year? 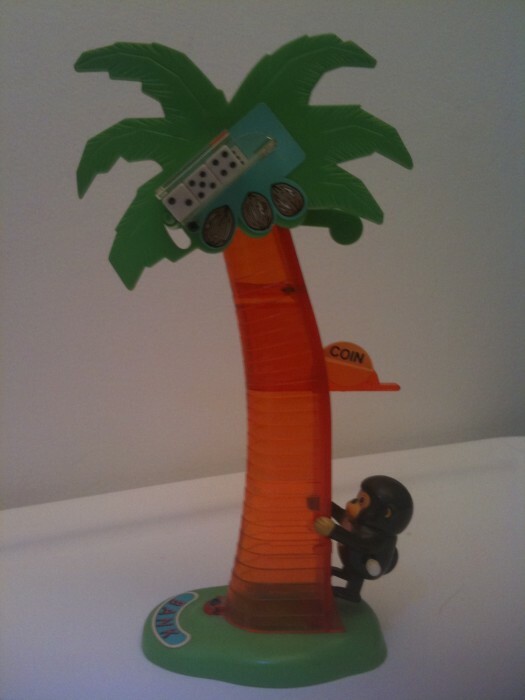 This never had a box, but I got it around 1985 or so.